Posted in: Crime Stoppers, Media Release, Reward. Tagged: Sandrell. 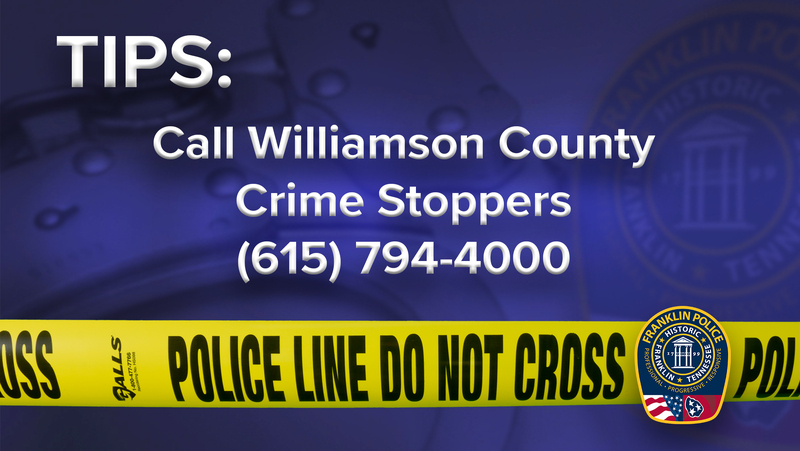 Franklin Police are searching for clues after a man was robbed last night in the parking lot of an apartment complex at 301 N. Royal Oaks Boulevard. The victim was taking his trash out at 11:45 Tuesday night when a male suspect approached him from behind and stuck what the victim thought was a gun in his back, and ordered him to empty his pockets. Little more is known about this robbery, but Detectives are hopeful that someone with information might come forward. There is a cash reward of up to $1,000 available for information in this case.